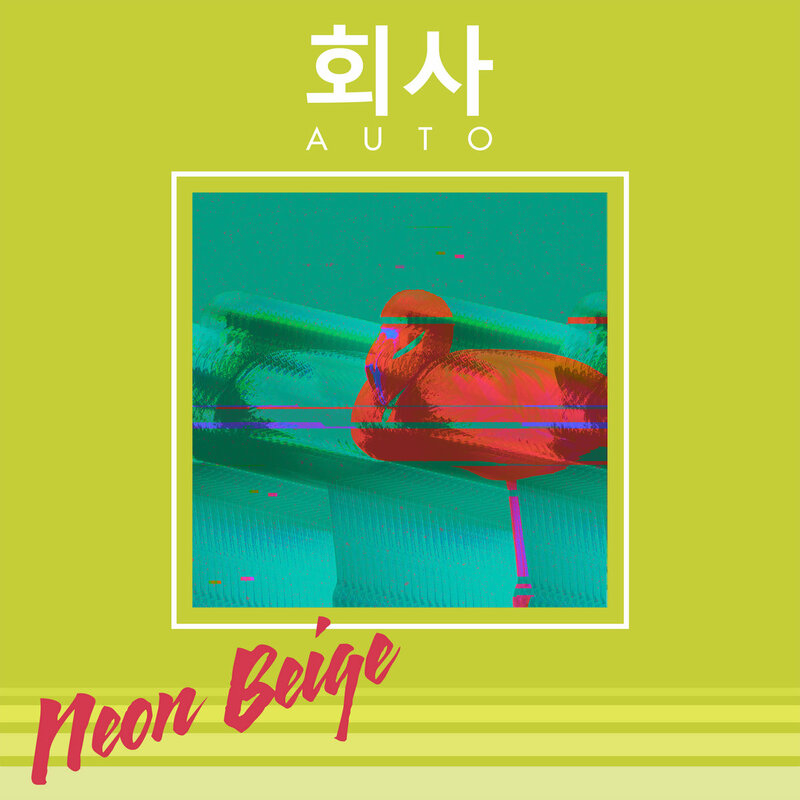 Riot In My Brain : 회사AUTO - "Neon Beige"
A few years ago, when the genre of vaporwave was becoming an internet phenomenon, one of the first artists I was introduced to, along with people like Luxury Elite and Saint Pepsi, was 회사AUTO (who I'm just going to refer to as AUTO for the remainder of this review). He seemed to have a bit of an off beat style and seemed to experiment a bit more. I always found his albums very appealing, particularly albums like Dream.Boxx and America (both titles have many more exclamations and symbols then I care to add in). Over the last year or so, as the hype around vaporwave seemed to slow down, the aftermath resulted in something that in my opinion was just as good or even better. Many artists who had forefronted Vaporwave's beginnings continued developing their style; molding and transforming it into much more hi-fi explorations of electronic music. These progressions have been seen very clearly in artists like Saint Pepsi and Spazzkid, and AUTO as well has proven to me he's still right up at this movement's forefront with Neon Beige. This massive 30 track album is very bright and colorful trip through dance and electronic music featuring plenty of guests along the way. Despite the length that Neon Beige has, I don't think it feels as long as it actually is. Each track is filled to the brim with head turning samples, catchy hooks, bright synthesizers and booming beats. There are a lot of tracks that surprisingly go into shoegaze/dream pop territory, with very hazy mixes and thick layers of vivid sounds. I'm really loving it. I can definitely see the massive amounts of effort put in from AUTO himself and everyone else who was involved. I highly recommend this one. Enjoy!